Beauty is never defined by geometric figures, symmetrical features or flawless textures. True beauty lies in natural imperfections. Flaws that are earned. Imperfections that real, unfiltered and free-spirited. Raga I Am is a collection that signifies this virtue of imperfections. Inspired the most unique elements of nature and the magnificent weaves of their imperfections, this collection features asymmetrical Swarovski crystals, unorthodox dials and cases, and reimagined straps and bracelets. Starting from the price range of Rs. 4995/- and ranging up to Rs. 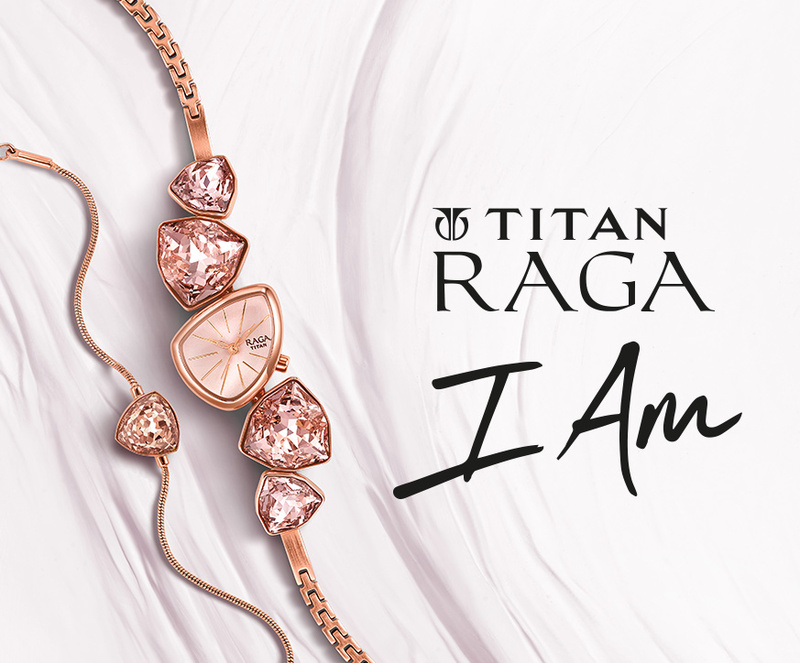 14,995/- the Titan Raga I Am timepieces redefine beauty, encouraging the contemporary Raga women to wear their flaws and flaunt them with pride.